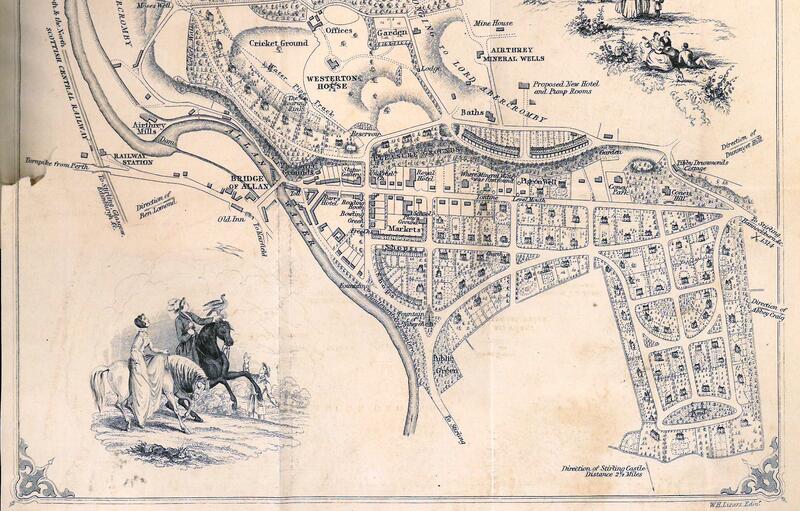 Stirling Council Archives’ building plans include warrants for the demolition of properties. 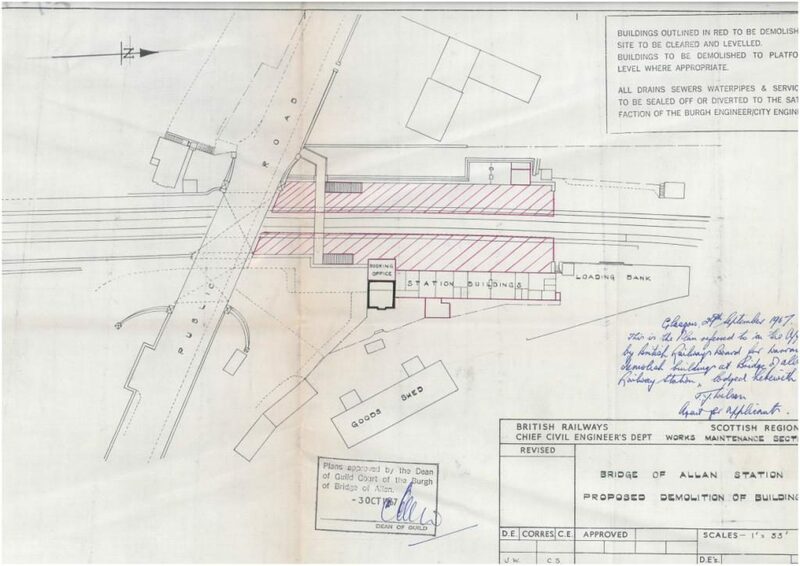 One such plan is for the proposed demolition of the station buildings at Bridge of Allan. These were approved by Bridge of Allan’s Dean of Guild Court on 3 Oct 1967, following the closure of the station. 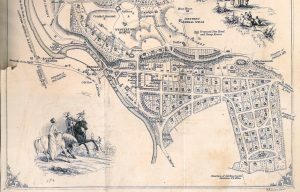 The plans were drawn by the British Railways Chief Civil Engineer’s Dept for the Scottish Region. The buildings outlined in red were those to be demolished to platform level. The line was to remain open and was therefore not part of the demolition. The railway station was opened in 1848 as part of the Scottish Central Railway. At its busiest, it was manned by a Station Master, a team of porters, clerks and ticket collectors. The station even introduced John Menzies bookstalls in the 1850s. In 1964 the Ministry of Transport proposed the closure of the railway station. Objections from the Transport Users’ Consultative Committee argued that future demand for the station may increase if a new University is located in the Airthrey Estate. There was also concern that the local bus service could not fully substitute the railway service. However, the Ministry was considering closures on the basis that they would not incur substantial hardship on the local community. Consideration was even given as to whether it could continue as an unmanned station. 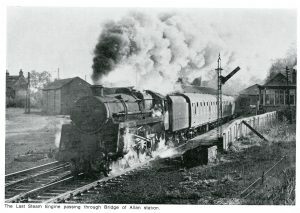 Despite objections from both Bridge of Allan and Stirling Town Councils, the station was closed at the end of October 1965. 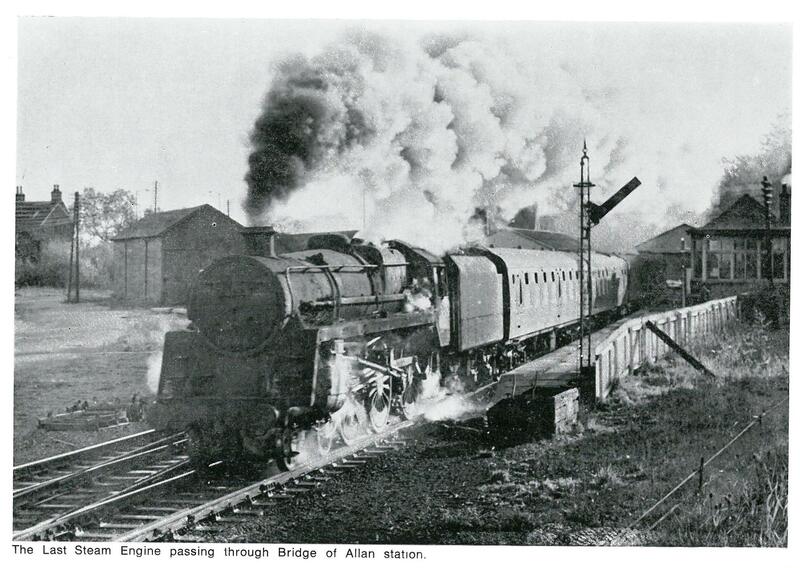 Twenty years later, British Rail opened a new unstaffed station at Bridge of Allan. The platforms are sited just south of the station’s original location.